Thanks all for participating!! It was a blast to see all the art, even though there were struggles along the way. Here's the voting thread for the Fan Favorite award! The voting will last until the 15th, only 3 days so please vote ASAP! After the voting is over, winners of all the awards and names of the pairs will be revealed. You have one vote, everyone (including participants) can vote but you can't vote for yourself. You can take into account the description as well as the artwork. In the happy meadows, love is abound. Many Pokemon are frolicking and the atmosphere brings upon nothing short of joy. 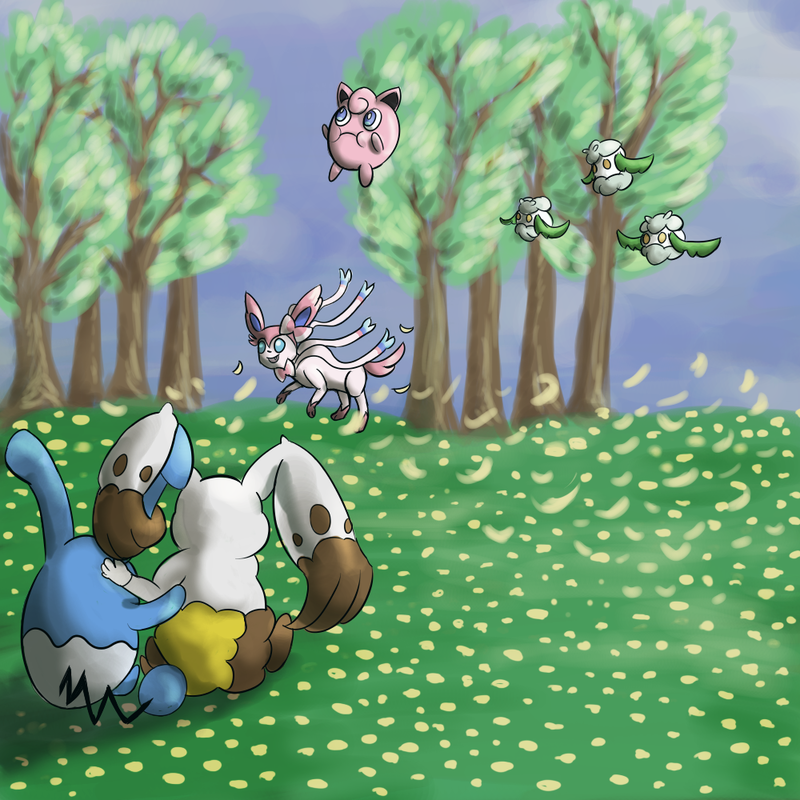 The flying cotton Pokemon takes the watch of all and comes out to spread its cotton for a bewildering magical sight. With the intertwining Fairy-type there is a delight to be displayed, too! And in the lower left area we have two rabbits that are opposites yet nearly the same but still feel strong feelings for one another! Even the pink, floating ball of gas in the air lives to expel the negative. Does love really grow on trees and in flowers? That's what the Pokemon of this happy valley may believe. But it's still a place that these pink petites are happy to be frolicking in! 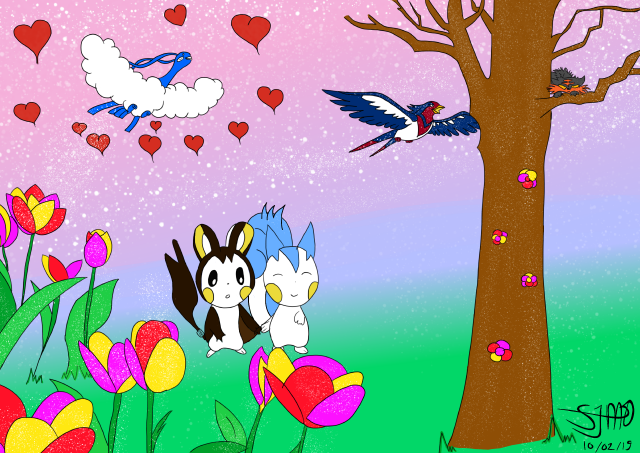 Love is in the air, infectiously spreading everywhere, even to the Pokémon living in the wild! 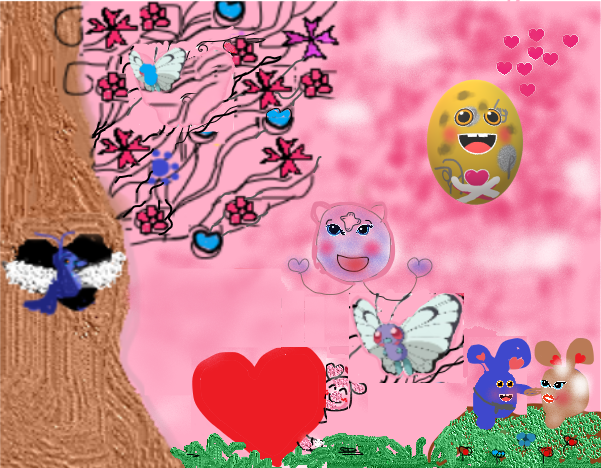 This particular scene shows love blossoming near a forested area. A Pokémon roosts it’s feathers inside a tree, enjoying the cozy space as it uses a tree as it’s personal resting place. A gentle expression on it’s face as it views the beautiful scene of Pokémon frolicking in the grass. The tree itself was tall, tall enough for the top half of it to not be able to be seen, but an assortment of flowers of different shapes and sizes grew along the branches. 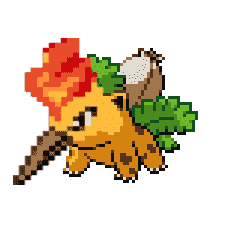 The grass that is being watched over by the Pokémon in the tree, was riddled with several flowers with a variety of different colours. A Pokémon couple were holding hands, sitting on said grass, as if on a picnic date of sorts. They seemed to be both happy, yet embarrassed at the same time, but the mood of love had definitely gotten to them, as they just basked in each other’s presence. The atmosphere itself was vibrant and pink to the point of the sky being a soft shade of pink rather than a natural blue, as if visibly affected by the love that spread through the air. Smoke clouds or smog were being given off by a Pokémon that glided through the scene, the smog itself was shaped as hearts, as in to emulate the romantic mood set off by everything around it. Another individual Pokémon seemed to be drifting along with the wind, as if being carried by it. It rode the wind in a cheery fashion, it’s enthusiasm seeming to be correlated with the warm surroundings of the forest it had found itself in. It floated past the scene without directly interacting with anything, besides the wind that blew it around rather persistently. In general, the art uses warm colors and gives off a cute vibe, with all the Pokemon smiling and being happy in some way. The sky itself is a mix of light blue, light pink and light purple. On the far left of the art we have the trunk of a tree that goes all the way from the top to the bottom of the art. In the middle is a heart shaped hole, where we have a Pokemon. It has a light blue body with a heart at the top of it, a happy beak, upward-curving line eyes and some fluffy cloud wings. From roughly the bottom middle half of the tree which curves inward, we have a branch that extends out. And out of this branch comes these flowers that are connected and move diagonally up-right until around the middle of the top of the picture, covering the up-left side of that diagonal line. The flowers vary in color - mainly blue, pink and light purple. There's also a blue butterfly near the flowers. We have grass covering almost all of the bottom, except for a part of it where we can see the tree. There's a decent sized heart that has kind of a ghost-like squiggle in place of the point near the bottom middle. On it, we have a Pokemon popping its head out. It has a :3 looking face with pink cheeks, it has a ribbon on its right ear and its left arm, with pink "hair" and heart-shaped ears and a sorta cream-white head, and its tail is sticking out as well near the middle right of the heart. To the upper right of it is a balloon shaped Pokemon, lightly purple, solid eyes with lines underneath them and an X for a nose with two strings connected to hearts leading out of the bottom of it curving upward and a cloud for hair. To the right of it is a mine-like Pokemon colored light pink, with upward-curving line eyes and a smile that looks like a c, a heart on its chest with an X underneath it that is expelling out some clouds of smoke around it, with hearts surrounding it as well. To the bottom of it are two Pokemon that are sitting down in the grass and holding hands. They're both rabbit-like Pokemon. On the left we have a blue-colored rabbit 'mon, with a heart shaped tail, feet together with the top of his feet colored brown, brown fur around his neck, buck-teeth sticking out of his smiling head, with two spike-like whiskers on each side of its head, upward-curving line eyes with lines underneath them, a small pink nose and ears with brown fur at the top and the inner of the ears heart shaped. The rabbit 'mon on the right is colored brown with cream fur around its bottom with its feet sticking out. It has a similar face to the Pokemon on the left, except it also has cream-colored eyebrows and it doesn't have teeth sticking out. It has one ear up, with cream fur at the top and the inner ear shaped like a heart. The other ear is flopping down, with cream fur at the end of it. Flowers surround them in the grass - 3 red, 2 blue. There's also a purple butterfly to their right. There's also a bunch of pink hearts of various sizes throughout the air, including what I call "heart flowers" - 4 hearts that are connected together at the bottom such that they form a flower-like shape. There's some empty space, but for the most part the picture is pretty filled. Create a 2048 x 1535 canvas. With a 700px soft brush, fill with #e9bfe5 at (647, 596) and (1916, 1172). Brush with #dfc3ed at (1196, 1202), (1688, 431), and (212, 545). Brush with #e7eefa at (1254, 257), (587, 1211), and (278, 113). Create a new layer. Switch to a 5px hard brush with pen pressure. Draw a smooth, curvy tree trunk on the left (~2/3 should be visible) with the top edge starting at (110, 0) and going left, right, left, right for each quarter of the page. Draw a small, two-pronged branch going upwards and to the right. #3a242a is the outline and #764a4f is the main color. Draw a heart-shaped hollow at the center of the tree and fill with #4c2a2d. With #3a242a as the outline, draw an egg with the fill color #bdeafa and two small white cloud puffs on either side. Draw a tiny heart on top of the egg in the same color. Draw a #f5c79b circular beak in the center and draw lowercase n-shaped eyes. For the rest of the piece, outline in #874159. Assume everything is outlined. Draw grass (fill: #cf50ce) along the bottom fifth of the page. For #3, draw a small stem southeast about 100px long. Curvy connect the flowers in the diagonal from blue flower 1 to blue flower 3. Curvy connect the tree to red heart 1 to all flowers leading to blue flower 4. Curvy connect blue flower 1 to all flowers leading to blue flower 2. Curvy connect pink flower 3 to pink flower 2. Connection should branch off to blue flower 5 and connect all flowers leading to blue flower 6. Curvy connect pink flower 3 to heart-petal flower 1. Draw a #fce4f0 circle (320px diameter centered at 1661, 434) with 7 trapezoidal stubs sticking out of the circle all around (#1 is directly on top, #2 is clockwise from it, and so on). Make #fbe9eb puffs of smoke come out of #1, 4, 5, and 7. Draw stubs inside the circle near #2 and #6. Draw a n◡n (◡ should be below the n eyes) face near the top of the circle. Then draw an (outlined) #f9e8b9 heart in the center of the circle (only color the edge) and an outlined #f9e8b9 X below it. Draw #fbe9eb puffs of smoke at (1325, 164), (1886, 170), (1967, 659), and (467, 1193). Draw a #f1e1fb 240px diameter circle centered at (1142, 698). Draw a #fcfced 40x40 X in the center tilted left. Draw 30x30 circles filled with the outline color at (1088, 722) and (1208, 674). Below each circle, draw ///. Add a #fef9fa cloud puff on top of the circle. Draw the bottom of a balloon at the bottom right of the circle (same color as circle) and two thin strings extending from it toward the bottom right. Each string ends in a 50x50 #fdfdee heart with the pointy end attached to the string. At the bottom right space, draw two bunnies holding hands and sitting inside the red and dark blue flowers. 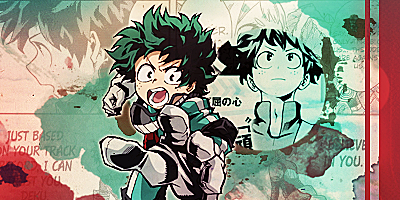 They’re both 1/3 of the page tall and have nᴥn faces with /// below all eyes. The left bunny has a main color of #ced7dc with #aa818b ear tips, foot tips, and collar. The ears are standing straight with #eecbd4 hearts for insides. A heart-shaped tail (main color) is sticking out from the bottom left. Two stubby whiskers stick out from each side of the face. The right bunny’s main color is #864e51 with #f4edd5 puffy ear tips, puffy lower body, and tiny oval eyebrows. The left ear is straight, and the right ear is curled. The left ear’s heart-shaped inside is #fddde8. Draw a 400x400 #ecb2b9 heart at (866, 1253) tilted left. Peeking out of it is a #ffffff circle with a 0ω0 (filled eyes) expression. The area above the eyes should be colored #f6dce0. Then draw #f6dce0 heart-shaped ears with #e3d1fa heart-shaped insides. On the right ear, draw a FLESH RIBBON REEEEEEE (in bow: #f6dce0 center, #ffffff edges). Ends of the ribbon should be #e9f6fe at the very end and #f6dce0 on the inside. A #f6dce0 tail should stick out of the right side of the big heart. Draw a left-facing #85368a butterfly at (1919, 923) and a right-facing #a3b7f2 butterfly at (167, 80). The background layer is entirely pink, a lighter shade than all other objects in the image. It is slightly darker around some of the other shapes, in order to help them stand out more. There is a tree on the left of the frame, taking up only about a sixth of the width in the trunk, growing to about twice as wide at the bottom. Only half of the tree's width can be seen. The middle of the tree bulks out slightly, showing a heart-shaped hole in the tree. A small winged Pokémon is sitting in here, it has a small blue body and its wings are white. The actual top of the tree can't be seen. Slightly to the right of the upper part of the tree is a blue butterfly. Extending from the tree are several thin wispy lines, covered in flowers. Some with rounded petals, others that look like Maltese crosses, others look like hearts. These shapes completely fill the upper left quarter of the image, in different swirly and spiraly shapes. The upper right quarter is dominated by a Pokémon that looks like a cratered asteroid. It exudes pink smoke and love hearts, the clouds fill the rest of the image in between the other objects. It also has a symbol below its face, that looks like a skull and crossbones, except it is just a heart and two crossed lines. In the middle is a circular looking Pokémon with two thin lines ending in hearts, coming from the base of the circle. 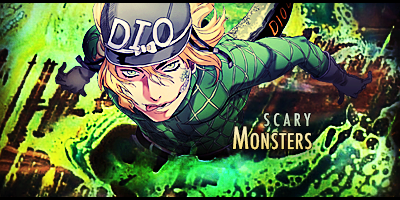 Between its large dark eyes, it has what looks like a cross-shaped bandaid. The creature seems to float through the air more than fly. 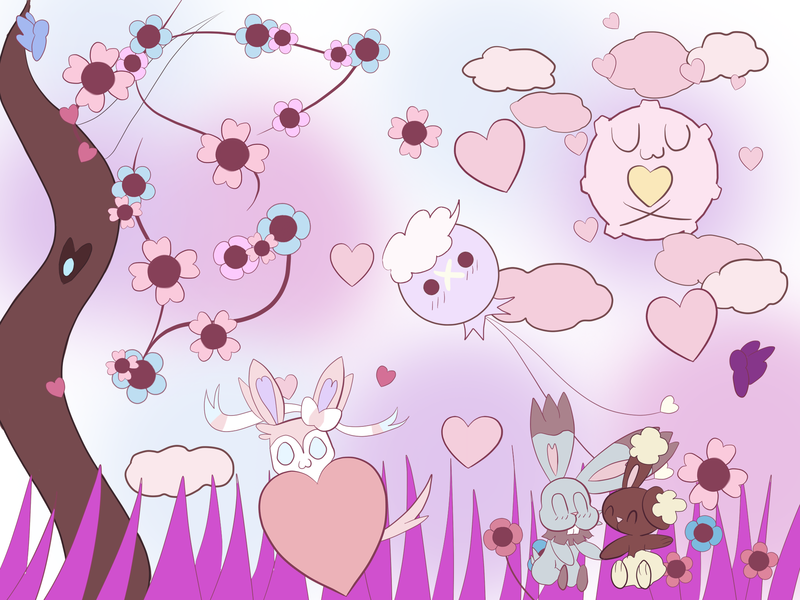 Slightly to its bottom left is another Pokémon hidden by a big heart, it is coloured white and pink, and it is fluffy and cute, with two heart shaped ears and a bow attached to its own left ear. Its floofy tail is also peeking out from behind the big heart. The bottom of the image shows strands of grass covering the ground. In the bottom right of the image there is a slight mound where two hippity hoppity Pokémon are seated. They are holding hands. The left one is blue and has buck teeth, it looks like it has a grey collar around its neck. The one on the right is mostly brown but there are white tufts of fur that makes it look almost as if the creature is covered in cotton wool. Both have long floppy ears, and the pink bit inside them is shaped like a heart. There is a purple butterfly about twice the size of the other one, slightly upper right of the bottom right Pokémon. On the grass mound, there are two small blue, and three red flowers. So in total there are six Pokémon, and they all seem really happy, and they're also slightly blushing. The sky is light pink that fades to white in some places, and it has hearts placed around at different angles. A few pink flowers are flying through the air. Floating in the sky on the right is a smoke ball pokemon with a marking on its chest. Flying just under it and to the left is a balloon pokemon and just to the left and under that is a cat thing pokemon with a bow wrapped around its right ear. A bow around its neck is just visable under the pink smoke heart it's hanging onto, with the cat thing's tail just visable too. 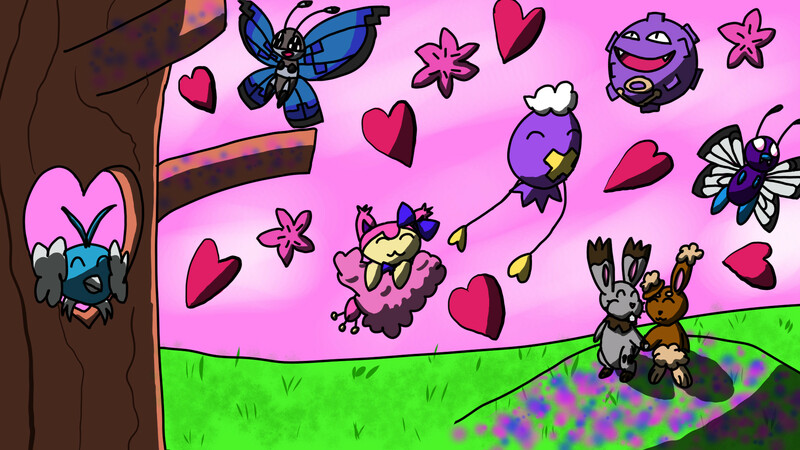 The ground is green and grassy, and on a small hill to the right is a gray bunny pokemon to the left and a brown bunny pokemon to the right holding hands and blushing, with a purple butterfly flying above and to the right of the brown bunny. The hill has pink and blue flowers covering it. 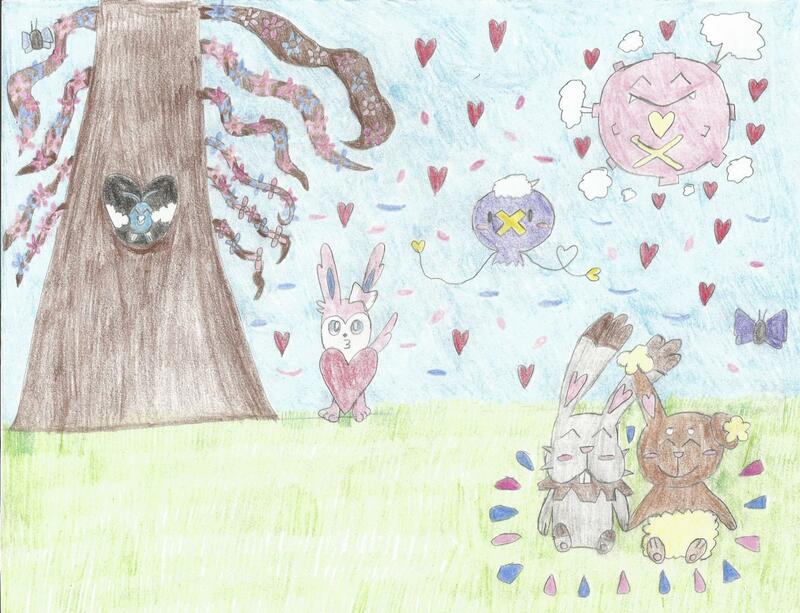 To the far left there is a tree with a cloud bird pokemon perched in a heart shaped hole in the middle of the tree. Sprouting from the tree are a few branches that have blue and pink flowers spread across it. Right at the top just to the right of the tree, a blue butterfly is flying. All the pokemon in the picture are happy. -There is a slightly curved tree taking up the far left side of the image. -There is a heart shaped hole in the middle of the tree in which a small blue bird is taking shelter in. 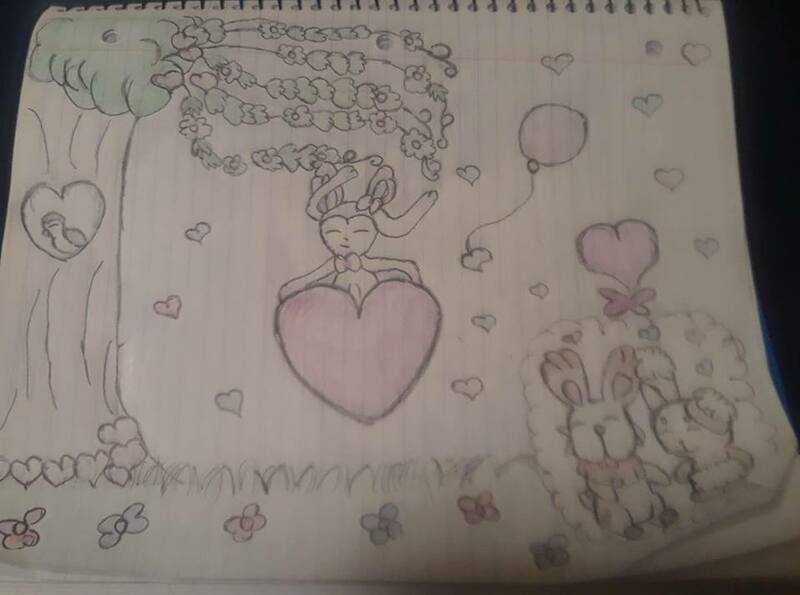 -The bottom is filled with grass all over with a small mound of it near the far right where a grey and brown rabbit are holding hands surrounded by flowers. Imagine your mushiest, plush-toy vibe kind of acid trip. To start with, the biggest takeaway is the mood the picture sets. Pinkish filter, love personified all in the air, a chibi style to encompass everything with a cute flair. 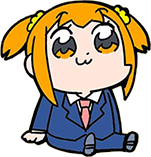 Imagine walking into a park so fragrant, so cute, you can see the aroma and everything looks like a puffy anime gag drawing. The word that comes to your mind (on this case, mine) would be fluffy. Aromatherapy visualized, clouds the air – dab some blue in the air here and there. The air dominates the scenery, yet at the same time? Is a miniscule player in the picture. Imagine a more pipe dream kind of look. Lining the left of the picture is a tree bark, like any. To visualize, the tree trunk has scoliosis. For some reason, it can still support itself, continue to sprout flowers. 4-leaf clovers that look pink because of the overall tone of the scenery, blue, and light purple flowers. The kind of flowers that are every toddler’s pride and accomplishment to draw. through these super thin branches that covers just a bit more space in your view than the trunk does; the width of a pen trail. Remember, there’s a lot of scenery to cover. Don't occupy too much with a wavy tree. Same thing with the grass; uneventful, lining the bottom, doesn’t get too far in, but noticeable. Dotted with small red 4-leaf flowers here and there. No leaves, surprisingly. The only green is in the grass. Here’s another fun fact about the tree; It has this oddly heart-shaped tree hollow in the centre of it. You ask why, but the ambience coerces you to roll with it. The twitter logo, sandwiched between 2 puffs of cotton candy, happily sits there. You can’t hear anything, but its smile makes you imagine its serene chirping. To add to all the valentine madness, there are hearts floating in the air, of varied size, all around the scenery! In fact, you see one so big just above the grass, that it covers a certain quadrupedal fairy covered in ribbons intertwining, to the point where all you can see is it’s hanging on its front legs, staring at you with the classic =3 expression! Oh, and I guess its tail sticks out a bit. 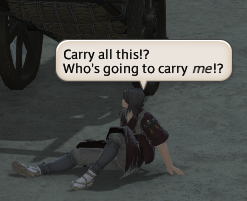 But let’s talk about what’s right next to it. Onto the right of what I just described, separated by a smaller heart in the air, 2 upright rabbits sitting on the grass, holdings hands! How adorable; one with blue fur, darker collars, paws, and feet, its front teeth showing, holding stubby hands with another rabbit; brown, with latte-coloured clouds on the top of its ears and its waist. Almost like a skirt. Both of them have this clean and simple 3-line blush and identical snouts, which you then realize they’re also making the same joyful expression to each other. Now let’s look at what’s above, but between the bunny couple and the ribbon fairy. In usual circumstances, it would be the most alarming thing, but this indigo balloon staring right at you is the most normal thing you can see. To the right of it, however, you see a pink minesweeper icon. Why is there a gold heart above a cross on its chest? Why is it giving you a happy face? You can’t tell, but you can also see the clouds surrounding it, as well as the tiny lil’ hearts littered around said sea mine. As you take in everything you’re seeing, you notice a lot of hearts- yes, there’s a lot in the air, but you realize that there’s more than just those in the air; the sprout on the twitter logo is heart- shaped! The ribbon fairy’s ears are heart-shaped! So are the pink parts of the blue bunny’s! Same goes for the brown one, but she’s got her left ear drooping. Even the tips of the balloon’s threads are heart-shaped! Look! One of its strings are even looping into a heart shape! You almost wish you could share this romantic high with someone special. TOSSUP: This artwork was painted with a general pink, lavender, and light blue color scheme in the background. The bottom of this artwork is taken up by grass with a few red and blue flowers, of four or five petals each. 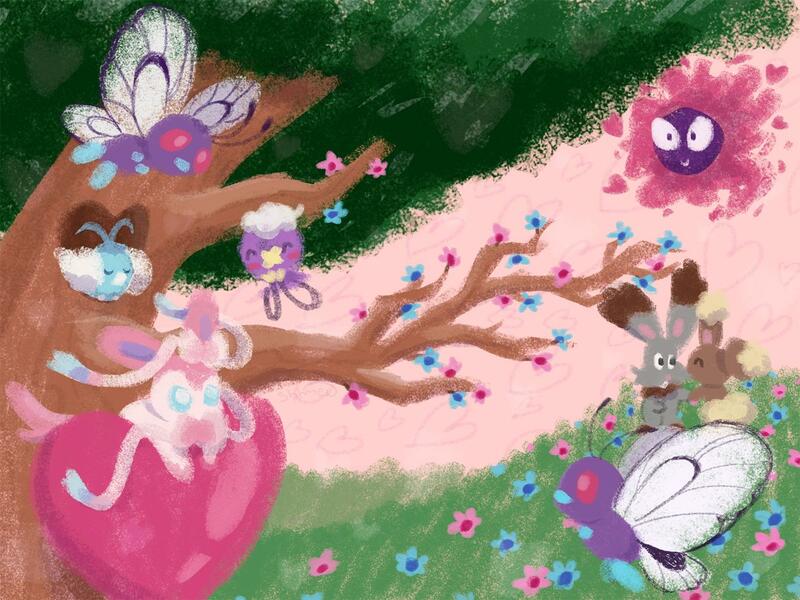 Two Pokemon of lagomorph-like design stand near the right of this artwork, on the grass, holding hands as a purple butterfly hovers to the right of the pair. To the left of this artwork, a large tree rises from the grass to the top of the image. That tree contains a heart-shaped hole in which a bird of blue-white visage sits; that bird has a little blue heart atop its head. Thin branches extend to the right of the tree with a few deep pink hearts growing close to the trunk and lighter blue and pink flowers as well as four-lobed leaves growing along those branches. Each lobe of the leaves is roughly heart-shaped, and the branches end in small curls that take the shape of a miniature spiral. A blue butterfly also resides next to the tree at the top of the artwork. 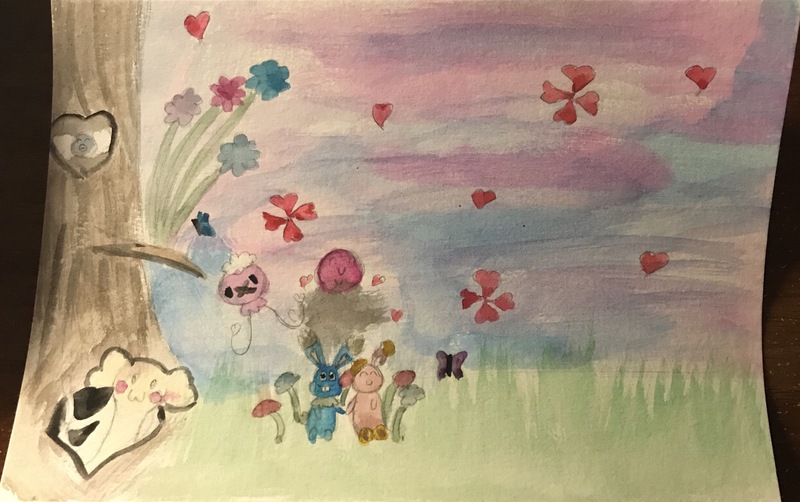 In the center of this artwork, a ribboned Pokemon hangs on top of a large heart that floats just above the grass, while a ballooned wisp looks on, curling its left heart-tipped arm in the shape of another heart. 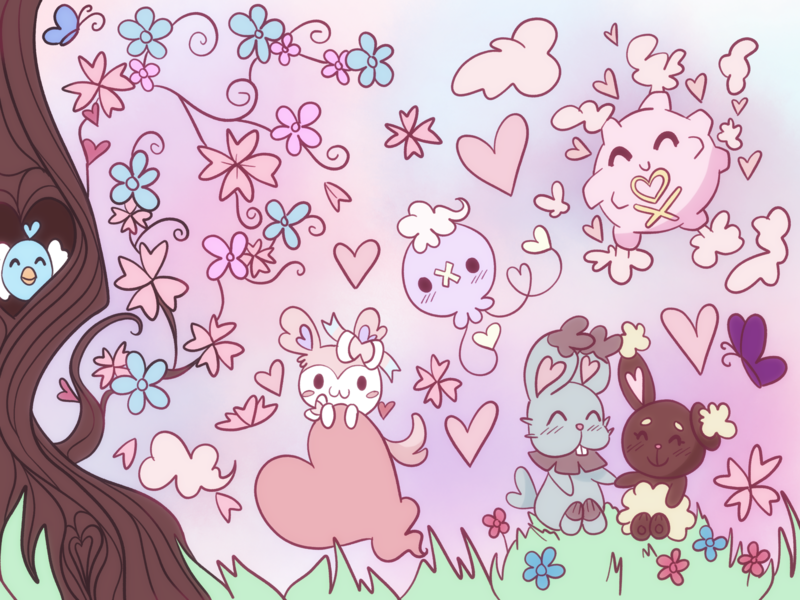 Above the rabbits in this artwork, a puff emits pink smoke in all directions; its skull replaced with yet another heart to create a heart and crosses motif on its body. Hearts are also drawn surrounding all of the Pokemon in this artwork. 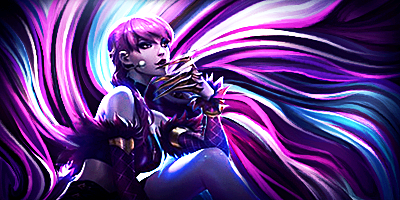 For some awards in the Marriprom Art Contest, recreate this artwork using the above description. Gonna vote #8. Love the pixel art style so much. Entry 8 ftw. It's gorgeous, and there's so much detail in it. Also the description was really nicely written. 8 is just...... wow. Pixel art for this is insane. It's got my vote for sure. Plus the description was entertaining to read!! Just a really good entry all around tbh. 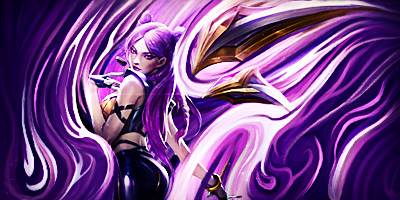 Definitely the power couple for this event imo. Honorable mentions go to numbers 1, 4, and 7 tho, each one has a lot of charm and individuality. And even then, each of the others has their own unique feel and made me smile to look at. This was a really well done event, thank you @Azuviin for putting it together!! I gotta admit that entry #4’s drawing looks pretty close to the original. Maybe it’s because the description is way too detailed to the point of describing colours with hexadecimal codes. That being said, my vote goes to entry #4. I’m also wondering about the yellow thingy in entry #5’s drawing. Is that supposed to be Koffing? I'm voting for 8. Good pixel art is good, and this one is no expection. Voting for 8. It's so amazing and I love it. Artwork #4 gets my vote.